It only stops when you get to Bangkok, originally uploaded by afflictedmonkey. 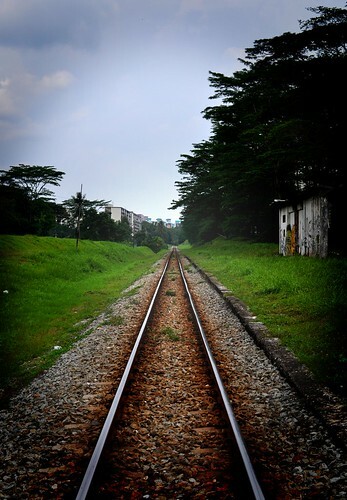 Railway line near Buona Vista. It's technically part of Malaysia so I suppose I was trespassing.